A handsome shrub can really spruce up your landscape, giving it more color, texture and structure. They make great focal points for floral displays and flowers. A poorly maintained one, however, can be a real eyesore and make the rest of your carefully tended landscape look bad. At ABC Scapes, we’ve been helping homeowners and business owners with shrub management for years. Here’s a few maintenance tips to keep them healthy and vibrant. When you get a new shrub, it is important that you get it out of its container/shipping materials as soon as possible. The longer you let it linger in that kind of storage, the more it will reduce the plant quality and could lead to the disease or death of it. If the shrub’s potting mix is dry upon arrival, apply water to the containers until the root zone of it is thoroughly moist. Plant your shrubs within three days of acquiring them. If you can’t plant them by then due to weather or other unforeseen circumstances, it’s important that you keep the shrub in an area that will provide some shelter from the elements until you get it planted. Complete the form below and a member of our Phoenix team will respond to your message. When working with potted shrubs, the roots can often circle each other and get tangled in their containers. It’s important that you remove the tangled roots before planting it – if you don’t, new roots may continue this pattern of tangling and end up strangling the crown of the shrub, killing your plant. You can remove tangled roots using a sharp pair of pruning shears. The shears can also be used to loosen up dense, matted roots. Releasing the healthy roots in the shrub and planting it in good, moist soil will encourage it to grow strong and healthy. When digging a hole for your shrub, score the sides of the hole. Slice into the perimeter of the hole with your shovel and create small breaks in dirt’s surface to encourage root penetration. Some types of soil, like clay, can be very hard for young roots to move through, so it’s important to make these indentations to help your shrub survive. You should keep the roots and soil of your shrub thoroughly hydrated and moist throughout its first growing season. Dehydrated soil can stunt the growth of your it. Prune regularly so your shrub doesn’t get too heavy. Too much growth on it can put tremendous stress on your plant and cause root loss. Prune away old, damaged, weak and crowded branches. Be careful to remove them at their base. Don’t shear off the top of the plant: The terminal buds on the top branch tips release hormones that encourage root growth and promote an orderly, slow pattern of growth. It’s also important to be mindful of the sun when pruning. A dense shrub can block out sunlight, which prevents interior growth. You want to prune in such a way that it opens up space throughout for sunlight to get in and stimulate growth for your shrub’s interior. Otherwise you run the risk of having it look huge and healthy on the surface but is dead on the inside. 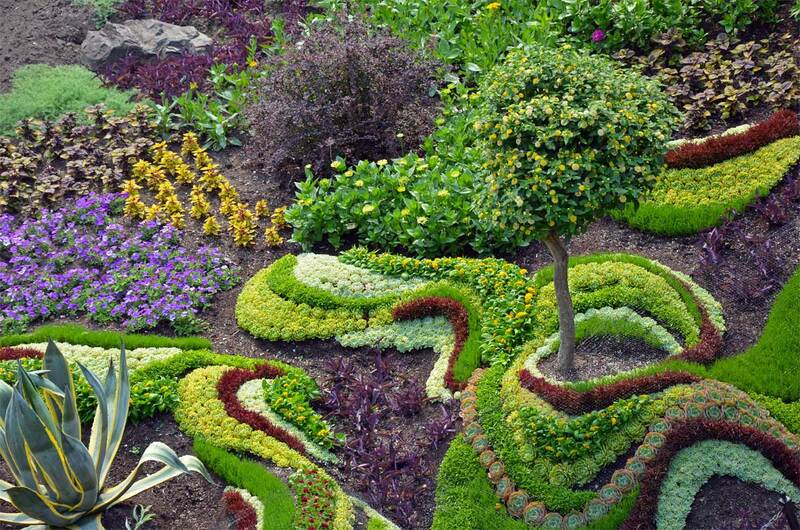 Why spend hours upon hours managing shrubs yourself when you can hire ABC Scapes instead? We’ll do all the work for you and in half the time! Call our nearby office in Phoenix to find out how we use our best shrub maintenance & management services to help you achieve the landscape of your dreams.